After passing the Bar in 1976, Mr. Arnold was appointed Assistant City Solicitor by Philadelphia Mayor Frank L. Rizzo, serving as a trial lawyer for the City of Philadelphia Law Department until 1980. Mr. Arnold left the City Solicitor’s office in 1980 to work for one of the city’s most respected personal injury attorneys, who limited his practice to medical malpractice, defective products, and other serious injury and death cases. In 1983, Mr. Arnold opened his own law office, which allowed him to devote his practice to helping seriously and catastrophically injured people and their families put their lives back together by being fully compensated for their injuries, harms and losses. After 40+ years, Mr. Arnold and his skilled staff continue to demonstrate the same passion and desire to obtain the best results possible for clients in Philadelphia and the surrounding counties and communities throughout the state Pennsylvania. Attorney Arnold still treats every client like a member of his own family. As you should always be able to rely on your family in time of need, you can rely on Louis Arnold to give you his undivided time and attention to help you. Mr. Arnold’s principal office is located in a beautifully restored 100-year-old townhouse in Rittenhouse Square, which he has owned since 1986. Attorney Arnold is licensed to practice law in Pennsylvania but has also helped injured accident victims nationwide including NJ, DE, NY, MD, FL, NV, and CA. Mr. Arnold has been a long-standing member of the Philadelphia, Pennsylvania, and American Trial Lawyers Associations. He is also a member of the Philadelphia and Montgomery County Bar Associations and the Philadelphia Trial Lawyer’s Associating. 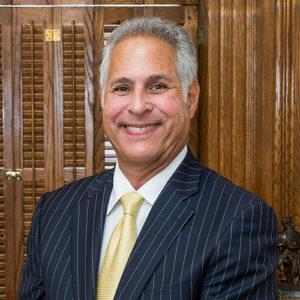 Attorney Arnold’s roots are firmly planted in the City of Brotherly Love and its surrounding communities. His professional commitment to fairness and compensation spilled over into his personal life as he hosted an annual award ceremony to commemorate Philadelphia Police Officers and Firefighters. For over 20 years, Mr. Arnold, in conjunction with the Knights of Pythias, Steuben Lodge #113, organized, hosted and emceed the “Jack Arnold Police Officers and Firefighters of the Year Awards” annual award dinner. There, Police Officers and Firefighters were honored and formally recognized for their dedication and commitment to the public. Mr. Arnold genuinely appreciates Philadelphia’s local heroes and pledges to work just as hard as they do for his clients. In addition to Mr. Arnold’s professional affiliations, he has been active with many charitable organizations including the American Diabetes Association, Juvenile Diabetes Association, Ronald McDonald House of Philadelphia, Fox Chase Cancer Center, Schei Institute and the Hero Scholarship Fund of Philadelphia, which provides assistance to children of Philadelphia Firefighters who were injured or killed in the line of duty. Whatever type of personal injury you or your family may have suffered, Attorney Louis Arnold can help you. If you or a loved one has been the victim of a medical mistake, were seriously injured at a construction site, or hurt in a motor vehicle accident, contact Attorney Louis Arnold, who will work with you to get the compensation you deserve..
After receiving her B.S. 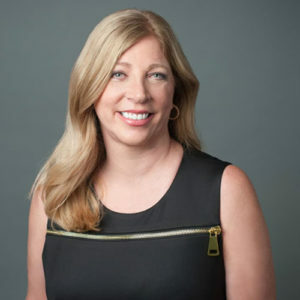 in Biology from Syracuse University and her law degree from St. Mary’s School of Law (San Antonio), Ms. Feldman began her legal career as a defense lawyer at LaBrum and Doak. In 1991, she entered a practice with her father and her grandfather, with a concentration in medical malpractice law and complex litigation. When her father retired in 1994, Ms. Feldman and Attorney Rosemary Pinto formed the law firm of Feldman & Pinto, a boutique plaintiffs’ firm and the first all-female owned trial law firm in Philadelphia. Since Feldman & Pinto’s inception, Ms. Feldman has litigated numerous medical malpractice, drug and medical device injury, and other personal injury cases, achieving many 6- and 7-figure settlements and verdicts for her clients. Super Lawyers has recognized her as a “Top Rated Medical Malpractice Attorney in Philadelphia, PA” since 2005. She has received national recognition in Best Lawyers in America© since 2006. Ms. Feldman considers community involvement to be an important part of her work. She has worked diligently to help ensure that all persons in need of legal representation receive legal services regardless of their ability to pay. Most of the firm’s clients do not have the money to hire a lawyer and have to depend on attorneys who will represent them without charging a fee up front. Feldman & Pinto strives to provide the highest quality professional services to clients—most of whom are seriously injured—without concern for their ability to pay. Ms. Feldman’s hope is that this may even the playing field a bit between the individual and corporate America. Advocating for equal access to the courts has been a very important part of Ms. Feldman’s and Feldman & Pinto’s practice over the years. As chair of the Philadelphia Bar Association’s Public Interest Section in 2008, Ms. Feldman led efforts to address the legal needs and rights of minorities, the poor, abuse victims, persons with disabilities, the homeless, and other members of society who often lack advocates to speak on their behalf.